Fleming Pie wasn't always an alt-pop band. As Hooper, singer Nakashima Tomoko, guitarist Segawa Eishi and drummer Ono Takayuki performed more commercial Japanese pop music. Hooper released four singles, two albums and one maxi-single for Sony Music between 1995 and 1996. Sony dropped Hooper from its roster, but the trio continued to play live. 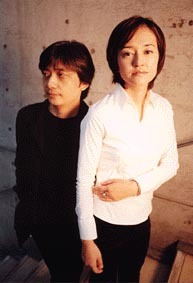 In 1998, bass guitarist Ema joined the band. A year later, Hooper announced it would change its name to Fleming Pie.